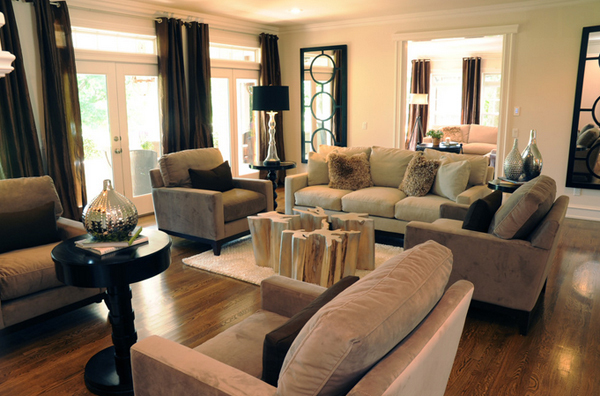 The living room is the most ideal place to show off your awesome decorations and furniture – I mean, yes, you can do that in every space in your home, but usually, homeowners strut their awesome collection of small trinkets to the large vases or tables that they either want to display or to show off. These things are supposedly shown off to your family and friends because these are things you are proud of and very much associated with. These trinkets – whether big or small that you display at home are things that you worked hard for to buy, earn or collect. 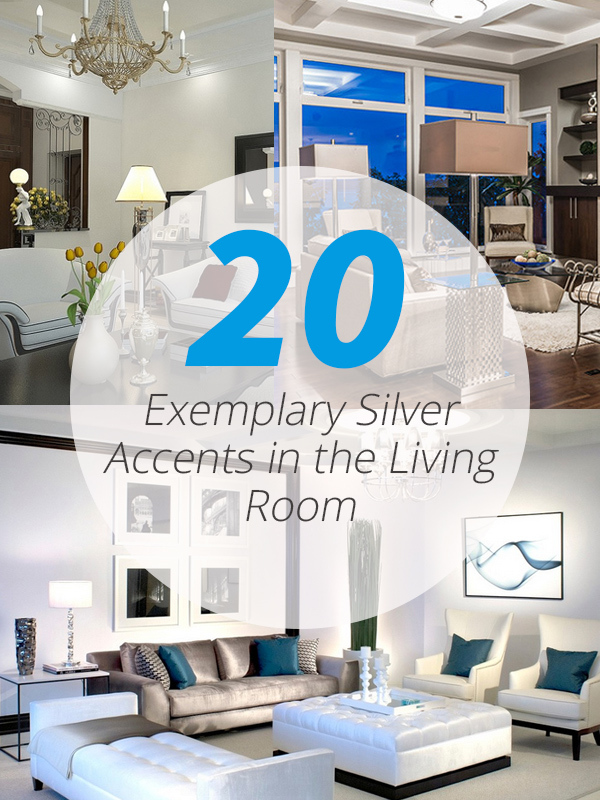 Below are 20 Exemplary Silver Accents in the Living Room that might impress you in one way or another, check it out! 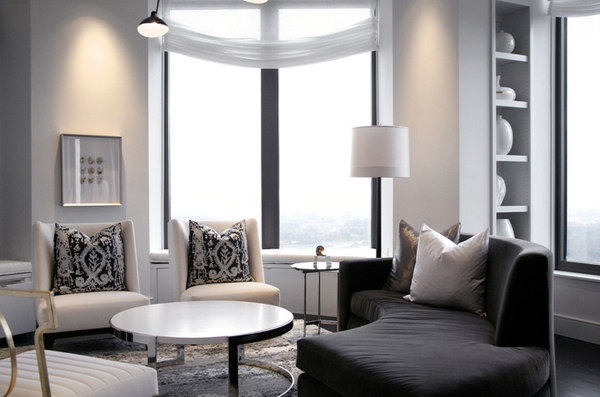 This living room with a black and white palette sure looks fancier because of the silver round coffee table. Silver jars are added to the buffet table beside the arch to this cute living room. 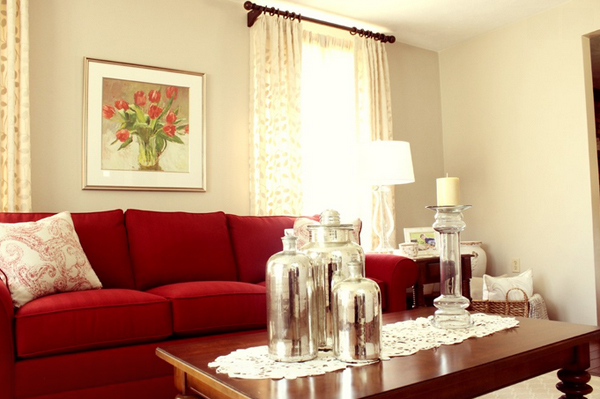 In a living room with a red couch, white or silver decors sure adds a bit of glam to the space. 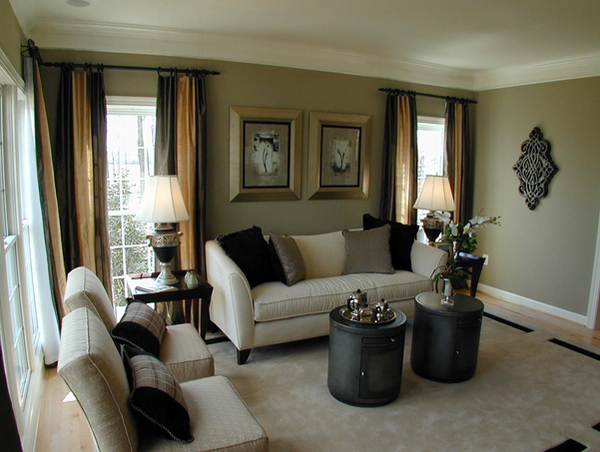 Don’t you just love seeing accent chairs like this silver ones you see in this living room in Fairfield Country? 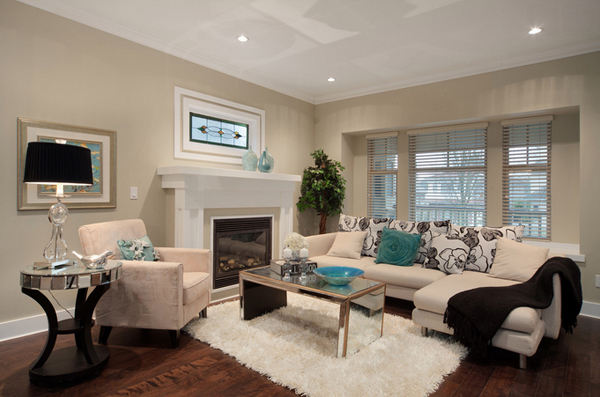 Here we see a living room set up with two living room seating areas separated by coffee tables; also, we can see the cute silver items on them – vases and a lamp. 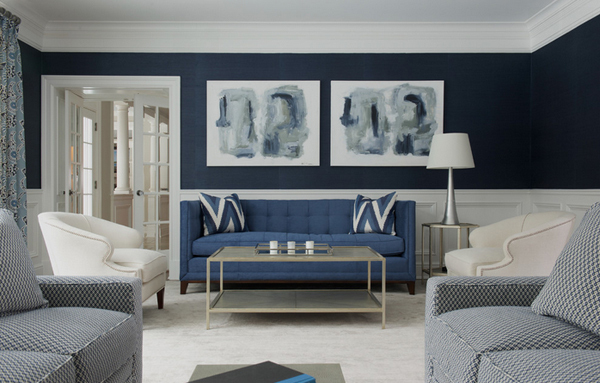 I love the color palette of this transitional living space – all the blues and the white sure plays really well. 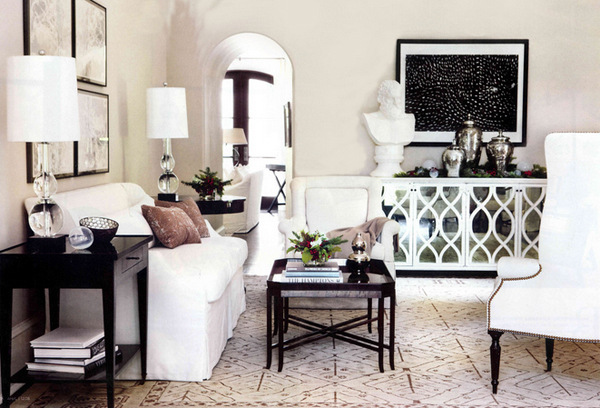 I have a super crush on this silver coffee table! Everything inside this living room is just fascinating. 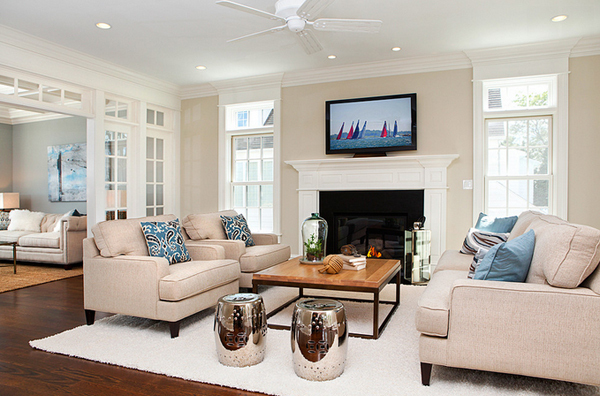 Silver centerpieces beautify this model home from Laura Manning Bendik. 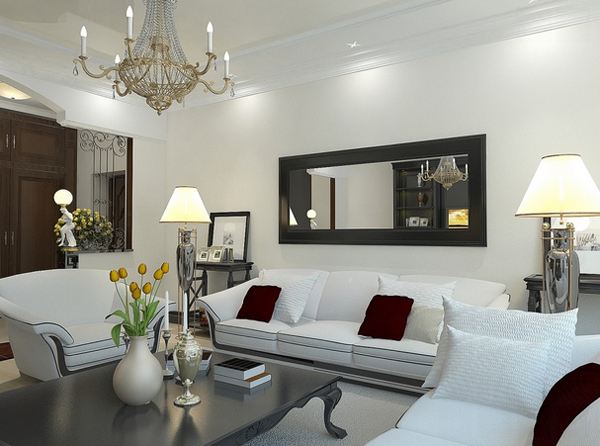 Here is one simple living room that showcase glam and gorgeousness because of the furniture choices and the decorations as well. The silver floor lamps sure look great in this almost grey and brown combination; which is awesome of course because we always love coordination in our spaces. I love the chair in the chair in the middle of the room! 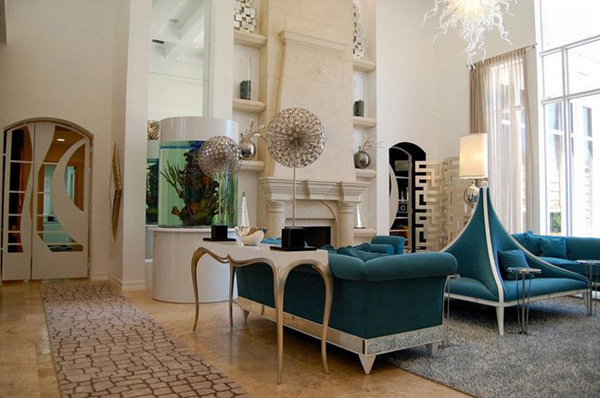 It is so chic and unique plus, we see awesome furniture and decorations in here too! 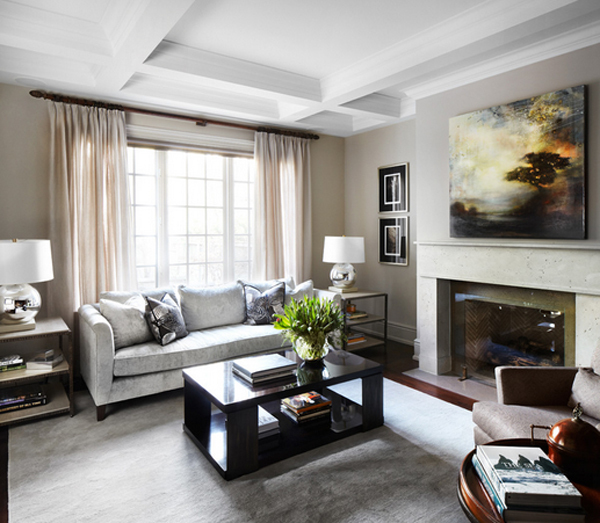 Do you see the chubby looking silver table lamps beside the sofa? I am really short, and maybe standing beside those two tall vases I’ll die! Haha. Kidding aside, those vases are really pretty. Silver coffee tables sure are cute and special since most of the coffee tables we see are either wooden or glass. If you are into stainless or metal furniture and decors, then silver is for you! 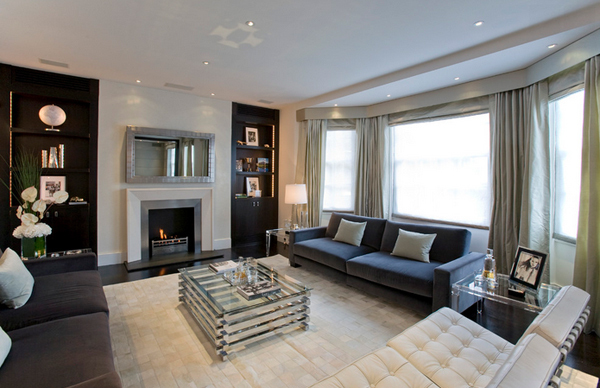 Just like this living room with the silver coffee table and mirror! 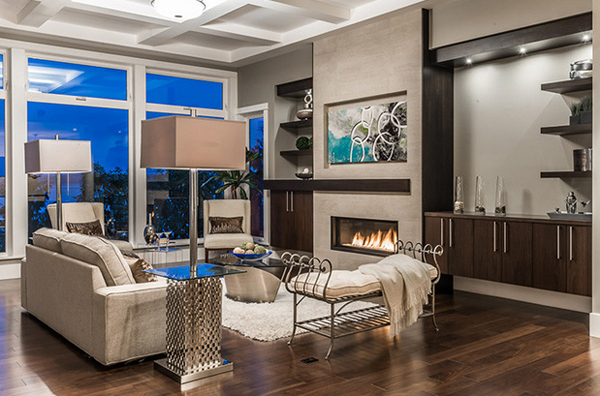 I truly love the tables in this Vancouver home! Look at them and be enthralled by them! That is one gorgeous silver living room sofa! What do you think? I think that everything in this living room is expensive. 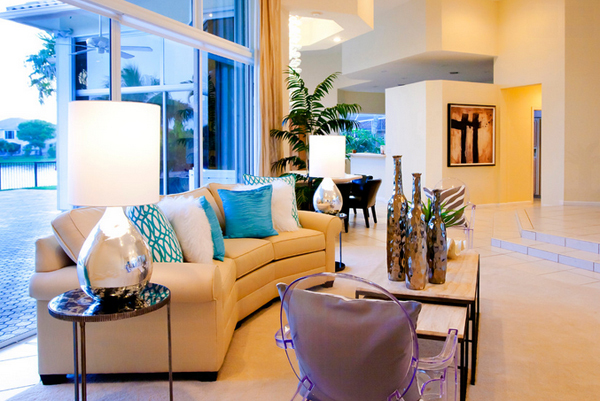 From the furniture to the silver decorations and lighting fixtures! Hanging chairs and bean bags – they sure add fun and glam to this home! 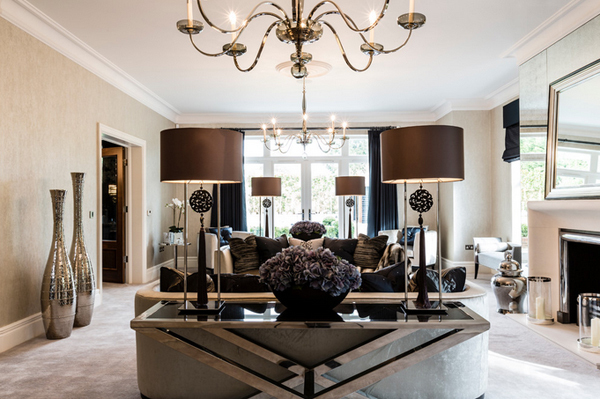 This Weston residence sure looks fancier by the minute! Cool vases and table lamps – plus not to mention the sofa and the ghost chair. Whether you are into collection items or materials for display or not, I am pretty sure that this list might have interest you at least an ounce because of how much tiny one item can be but sure does make a difference in the entire living space. Stunning color accents like this sure is flashy at most part, but they too are beautiful and fab! More to come in Home Design Lover!